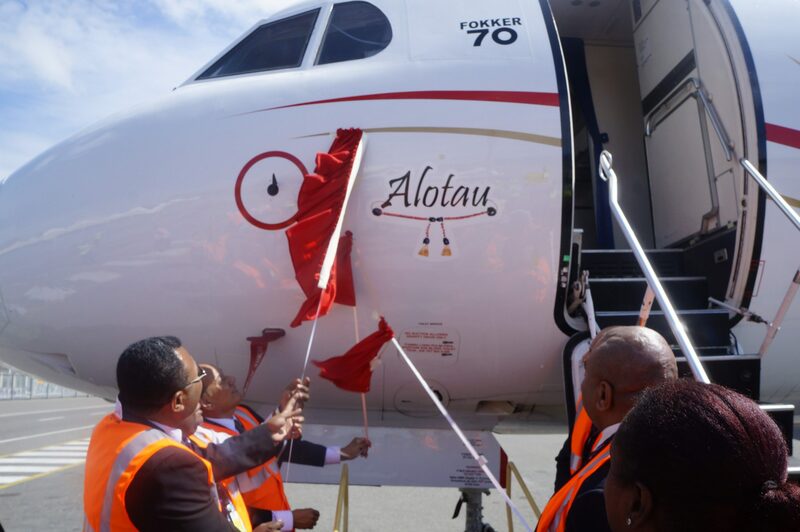 Air Niugini in a ceremony today named one of its Fokker 70 aircraft – Alotau. The aircraft is the third of the total nine F70 aircraft expected to be delivered to Air Niugini by 2017. The first aircraft was christened Mt Hagen, followed by Hoskins and now, Alotau. Air Niugini Board Chairman, Sir Frederick Reiher in his address said the name Alotau is in recognition of the important role being played by Alotau and MilneBay in terms of tourism development. He said MilneBay Province is developing into one of the main tourism hubs in the country and Alotau is an important port in Air Niugini’s operation. He added Air Niugini appreciates that support and will continue to help, meet the travel needs of the province. Air Niugini operates daily flights into Gurney airport, that’s a total 7 flights per week. Sir Frederick thanked the Minister for National Planning and Member for Alotau, Charles Abel for the strong political support for Air Niugini’s regional operations, particularly the subsidizing of the second Japan service and the proposed seasonal flights between Alotau and Brisbane. 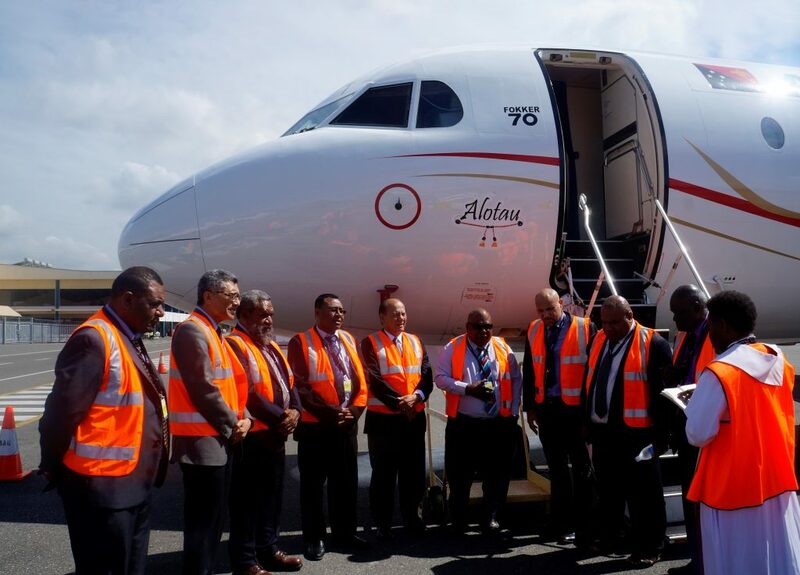 A Fokker 70 aircraft is faster, more efficient with superior passenger comfort and will enable Air Niugini to improve domestic services to key regional centres. Air Niugini so far has a total 25 aircraft in its fleet including Boeing aeroplanes, Fokker 100s, Q400s and now the F70s. Air Niugini leases 7 Dash 8 aircraft to its subsidiary company, Link PNG. Sir Frederick together with Minister Abel, MilneBay Governor Titus Philemon, Minister for Tourism-Tobias Kulang, Air Niugini CEO Simon Foo and other invited guests proceeded to the air site where they did the unveiling to mark the christening of the aircraft.